Its a Welcome Move from Samsung that in Tablet PC Category they have extended it's specification by including most relevant Voice Calling Feature. But Camera they should have given at least 5.0 MP. So, does it mean no ICS upgrade for Samsung Galaxy 10.1" ? The specs almost the same. Ok samsung .... wat r u trying here ? "Dual-core 1 GHz" ..seriously ??? Other boys out ther r having tegra 3.
considering ur pricing history ... Definitely this ones not gonna be less than $500 ... WTH. ASUS transformer prime still remains best android tab. when is it coming to south africa?????????????????? I completely agree with you egghead. This specs is very simple. Mobile phones is much better as to hardware specs. huawei got a 1920x1200 px screen with quad core tablet. goodbye samsung. Why waste money on developing a tablet with the same specs as the last one and only to have ICS as the upgrade? It doesnt make sense. 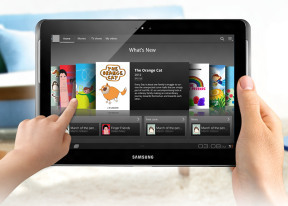 Why not just upgrade the current galaxy tab range with ICS? 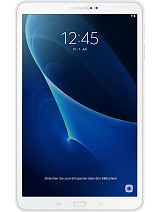 Samsung is starting to act like Nokia, releasing the same product with only cosmetic changes. It may work for a while but we all know how that turned out for Nokia. Russel, 26 Feb 2012I don't think that this tab will rock. Need Quad-core processor.But if Samsung will sell it cheap, it will. I don't think that this tab will rock. Need Quad-core processor. Total of 1075 user reviews and opinions for Samsung Galaxy Tab 2 10.1 P5100.